GOLETA, CA….Los Padres National Forest officials today announced that August 14-15 are “Fee Free” days for all visitors to the Forest. A National Forest Adventure Pass will not be required for visitors recreating in all areas of the Los Padres except for the Santa Barbara Ranger District’s Lower Santa Ynez Recreation Area, where an Adventure Pass will still be required. “Fee Free” days are observed each year on National Ttrails Day (June 5-6), Back to School season (August 14-15), National Public Lands Day (September 25), and Veterans’ Day (November 11). Visitors who inadvertently commit a Daily Adventure Pass this weekend can have it replaced free-of-charge. Visitors are reminded that even though the Adventure Pass fee will be waived this weekend, other fees such as campground, reservation and group site fees may still be applicable. 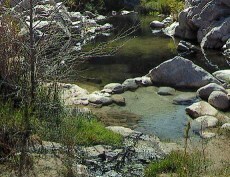 The “Fee Free” days are observed throughout Southern California on Los Padres, San Bernardino, Angeles, and Cleveland National Forests. Visitors are encouraged to “Know Before You Go,” and to contact your local Ranger Station for more information on current conditions.